This is a not uncommon question during book festivals or school visits – and I’m always a little sad to have to explain that such a decision doesn’t rest with the writer! 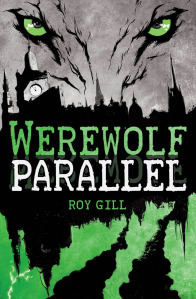 I suppose the closest I’ve come to an adaptation of Daemon Parallel or Werewolf Parallel has been the talking books (from www.whatnoise.co.uk) in which I can at least hear a talented actor give voice to my work. But a movie has a visual dimension too, doesn’t it? Casting means actors have to look as well as sound like my characters.